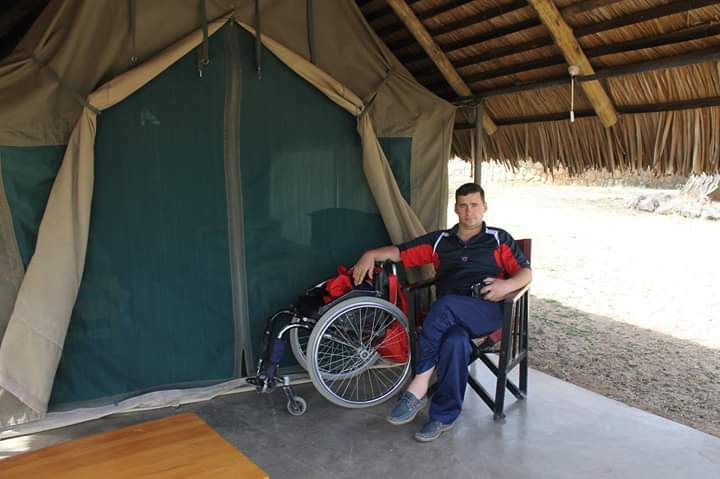 ItinerariesHome Itineraries 6 Days Tanzania Wheelchair Accessible Safaris . All our 6-day Tanzania wildlife safaris, tours, holidays and travel packages, specifically include the Ngorongoro Conservation Area and the world famous Ngorongoro Crater National Park in Tanzania. This specific Africa safari and travel itinerary has been designed for visitors with more time on hand for a longer safari or travel tours. It specifically include the Tarangire National Park and have been designed to offer you a total Tanzanian northern circuit safari experience, while keeping your non game-viewing travel time to a minimum. These unforgettable Tanzania safaris, tours, holidays and travel packages will take you to Tarangire National Park, which features some of the greatest concentration of game in Tanzania – second only to the Ngorongoro Crater – but less crowded and unspoiled – possessing a wild and unkempt beauty. These safaris or holidays travel tours will also take you to the Lake Manyara National Park, one of Tanzania’s most dramatically located wildlife areas, consisting of a shallow but huge soda lake, located at the foot of the Great Rift Valley’s western escarpment. The size of the park makes it perfect for a one-day game drive and is notably famous for it’s tree-climbing lions. These safaris or holidays travel tours will also take you to the Serengeti National Park, a massive wilderness of 14500 square km, where every day brings a new landscape and a new adventure. Finally, your African safari tour will also take you to the Ngorongoro Crater and the Ngorongoro Conservation Area in Tanzania, featuring one of the highest concentrations of game and arguably the densest population of predators and carnivores in Africa. Here you will witness an amazing spectacle of Tanzania wildlife – inside a self-contained world teeming with animals. After breakfast the tour departs. First stop is Arusha Town for any last minute purchases before you head off on safari. Afterwards you head towards the Tarangire National Park for a game drive with picnic lunch at the park. Tarangire is well known for its huge elephant population and baobab trees. It forms the center of an annual migratory cycle that includes up to 3000 elephants, 25,000 wildebeest and 30,000 zebras. Dinner and overnight at Flamingo Safari Lodge. After breakfast the tour departs to Lake Manyara. Lake Manyara National Park offers breathtaking views and a large variety of habitats. Acacia woodlands, water forests, baobab strewn cliffs, algae-streaked hot springs, swamps and the lake itself. And thanks to this the small Park is able to support a large number of animal species and incredible bird life. Manyara has the largest concentration of baboons anywhere in the world and the lions here are also renowned for their tree climbing. Dinner and overnight at Flamingo Safari Lodge. After breakfast, depart for Serengeti National Park, via the beautiful high lying farmland of Karatu and the Ngorongoro Conservation Area. Leaving the highlands behind, you descend into the heart of wild Africa – the Serengeti National Park – with its endless plains, rolling into the distance as far as the eye can see. Then heard to the central park area, known as the Seronera area, one of the richest wildlife habitats in the park, featuring the Seronera River, which provides a valuable water source to this area and therefore attracts wildlife well representative of most of the Serengeti’s species. Arrive in time for lunch and enjoy an afternoon game drive in the Serengeti national park. Dinner and overnight at Mbugani Tented Camp. After an early breakfast, you will descend over 600 meters into the crater to view wildlife. Supported by a year round water supply and fodder, the Ngorongoro conservation Area supports avast variety of animals, which include herds of wildebeest, zebra, buffalo, eland, warthog, hippo, and giant African elephants. Another big draw card to this picturesque national park is its dense population of predators, which include lions, hyenas, jackals, cheetahs and the ever-elusive leopard, which sometimes requires a trained eye to spot. You will visit Lake Magadi, a large but shallow alkaline lake in the southwestern corner, which is one of the main features of the crater. A large number of flamingos, hippos and other water birds can usually been seen here. Late afternoon transfer to Arusha to your requested accommodation for dinner and Overnight or airport drop off.